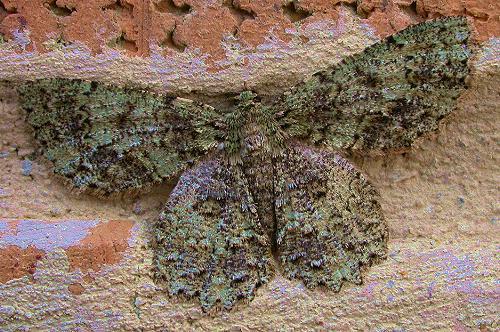 The adult moths of this species are varied in their colours, from an earthy grey to rich deep green, with a complex pattern of zigzag lines. 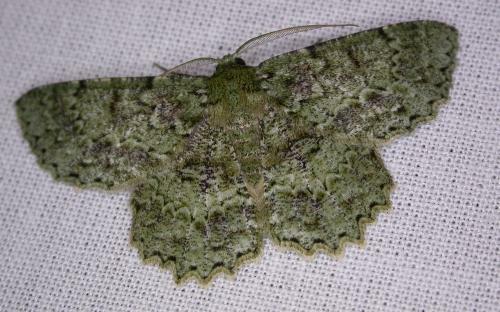 The beautiful green colour in life of some specimens usually quickly fades when the moth dies. The ones in the Museum collection in Melbourne are all yellowish and the one illustrated in Common is also quite faded. If exposed to the light this colour change occurs in a year, and no specimens over five years have retained the green colour. 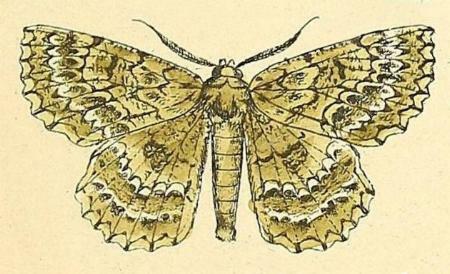 The moths are also richly textured with various tufts on the body. 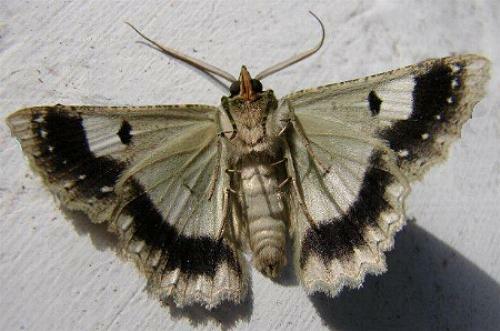 The margin of each hindwing is scalloped. 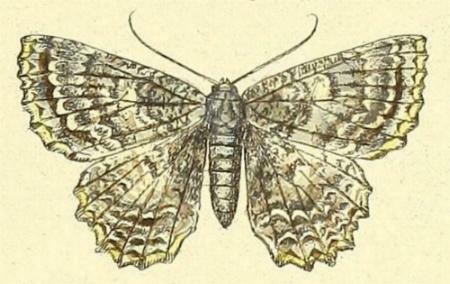 The underside is pale brown, with a broad dark submarginal band and a dark central spot on each wing. The females are paler but larger than the males. Females have a wingspan of up to 4 cms. Males have a wingspan of about 3 cms. The moths are on the wing from November through to April in both rural and suburban situations, and they often come to nocturnal lights. Melbourne University Press, 1990, pls. 11.9, 27.1, p. 372. Band 2, Abtheilung 2 (5) (1875), p. 12, and also Plate 125, figs. 7, 7a, and also Plate 126, fig. 14. Volume 9 (1857), p. 281, No. 450, and also Plate 6, fig. 3. Entomological Society of Victoria, 2012, pp. 28-29.